The Texas Set consists of limited edition copies of Bohemian Souls and The Wrong Passage, plus a separate booklet containing indexes for both volumes. The two books are signed by the editors and contributors, and along with the index volume, are housed in a custom slip case. The trade editions of both of these books sold out rapidly, and The Texas Set is now the only means of obtaining copies of these important additions to Canonical scholarship. Published by the Baker Street Irregulars with the cooperation of the Harry Ransom Center at the University of Texas at Austin, both books contain a facsimile of Arthur Conan Doyle’s original manuscript along with a thoroughly annotated typescript, commentary, a manuscript description and its history. Only 75 sets of these specially bound, gilt-stamped volumes in a custom slipcase are available. 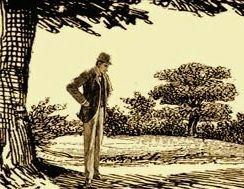 “A Scandal in Bohemia,” the focus of Bohemian Souls, holds a special place in Sherlockian lore. 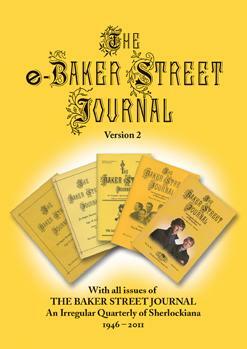 The story was the first Holmes tale published in The Strand Magazine, and features “the woman” Irene Adler. The volume was edited by two-time Edgar Award winner, Otto Penzler. For more details about the book and its table of contents, see the standard edition of Bohemian Souls. This limited edition volume comes in a special black cloth binding with embossing on the cover. It is signed by the editors and the contributors on a hand-numbered limitation page. The Wrong Passage is based upon “The Adventure of the Golden Pince-Nez,” which shows Sherlock Holmes at his observant and deductive best, unraveling a seemingly impossible-to-solve mystery. Robert Katz, MD and Andrew Solberg edited the book. For more details about the book and its table of contents, see the standard edition of The Wrong Passage. Adrian Nebbett has prepared his usual fine indexes for both volumes, and these are published in an accompanying booklet that fits into the slipcase. The set comes with a gold-stamped slipcase crediting the Ransom Center and displaying an outline drawing of a seated Conan Doyle holding a pen (as shown above). A: The Limited Edition volumes are available only as part of a three-book set along with its slipcase. Standard editions of Bohemian Souls and The Wrong Passage were published separately. Q: Can I get a standard edition of the Indexes booklet? A: No, the printed booklet is only available with the boxed set. A: The limited edition volumes have different covers, are signed and numbered, and come with a slipcase for the set. The printed indexes to these volumes are only available as part of the limited edition boxed set. The standard editions of Bohemian Souls and The Wrong Passage come in a pictorial dust jacket as shown on their respective web pages.